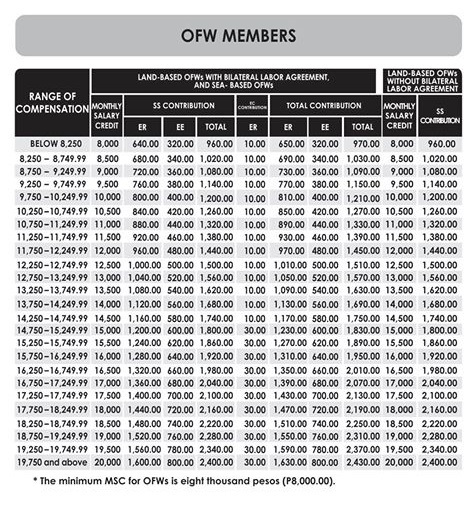 Posted: March 19, 2019 Updated: March 19, 2019 by onlineph | Filed under Business, Government, Public Service. 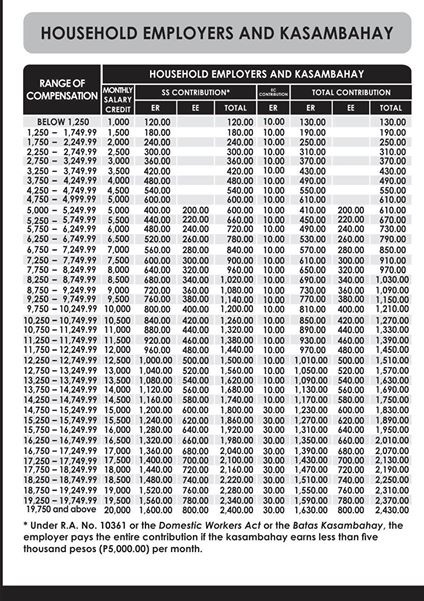 Concurrently, the minimum and maximum monthly salary credit (MSC) will rise up to P2,000 and P20,000, respectively. The MSC is where the 12 percent contribution rate will depend. March 13, the SSS governing board approved the said increase. It is mandated under the pension fund’s new charter to extend the fund life. After the administration approved the additional P1,000 monthly given to the pensioners last 2017, the SSS fund life was reduced by 10 years to 2032. Due to the Social Security Act of 2018, the SSS fund life is estimated to last until 2045. 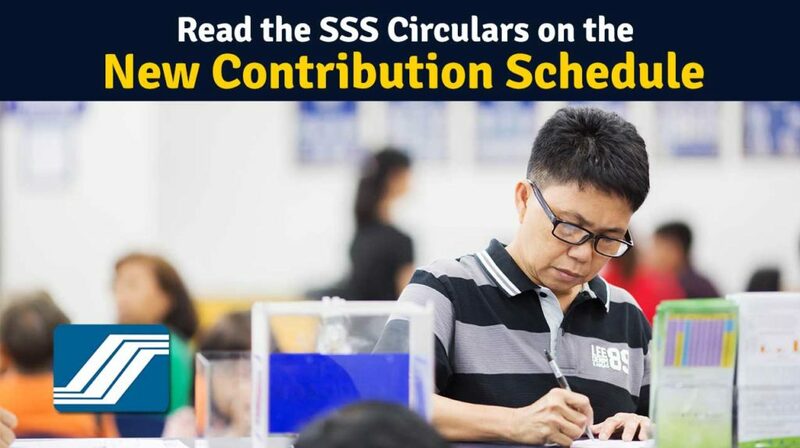 The new schedule of social security contributions is listed down last Sunday, through Circular Nos. 2019-05, 2019-06 and 2019-07. In a text message, Ma. 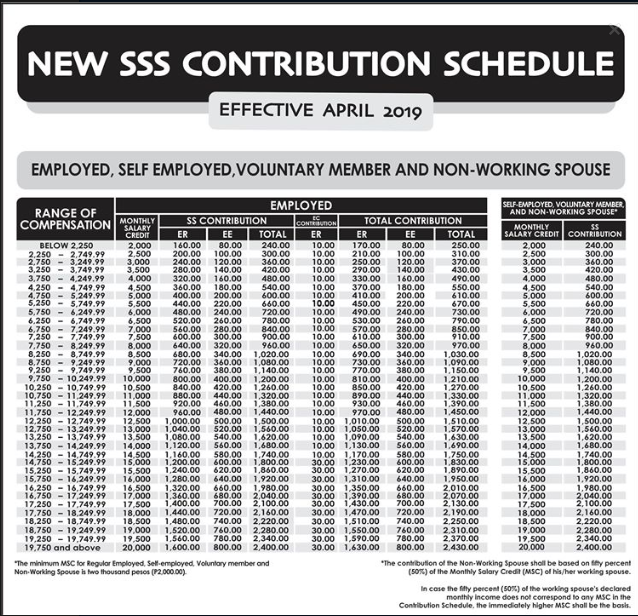 Luisa Sebastian, SSS Vice President for Public Affairs, stated that the new rate must show in the contributions to be paid in May, for the increase in contribution rate will be implemented in April. Aurora Ignacio, SSS Commissioner and OIC said that the increase in contribution rate was in conformity with Republic Act No. 11199, also known as the Social Security Act of 2018. The President signed it last month. If before, the President is the only one who could approve contribution rate adjustments, now, with the new law, Social Security Commissioner and the pension fund’s governing board are now allowed to increase the contribution rate by 1 percentage point every other year starting 2019 up to the time that it reached 15 percent by 2025. The Social Security Act of 2018 (RA 11199) also increased the minimum and maximum MSC, to P2,000 from P1,000 and P20,000 from P16,000 for the latter. Employees receiving compensation of less than P2,250 will have a minimum MSC of P2,000 and must contribute P240 monthly, which corresponds to the 12% equivalent. Two-thirds of the said contribution or P160 must be paid by the employers, while the P80 will be by the employees. Those employed with a monthly compensation of P19,750 and above per month, have an MSC of P20,000 and shall contribute P2,400 monthly. Whereas P1,600 will be coming from the employer and P800 from the employee. Self-employed and voluntary members’ contribution rate is the same as the employed. For a non-working spouse, 50% of his or her working spouse’s MSC will be the basis of the contribution rate. Since the Kasambahay Law mandates that the employers should pay the entire contribution of their “kasambahay” (househelp), employers need to pay P120 and P600 for those earning P5,000 a month and below starting this April. Kasambahay with monthly compensation of P19,750 and above will have to contribute P2,400 to P1,600 from the employer and P800 from the househelp. For sea-based and land-based OFWs who are working in a country where SSS has existing bilateral labor agreements, two-thirds of the contribution must be paid by the employers and the rest will be by the OFWs themselves. Currently, a bilateral social security agreement exists between Philippines and Austria, Belgium, Canada, Denmark, France, Germany, Japan, the Netherlands, Portugal, Spain, Switzerland, Quebec (Canada), the United Kingdom and Northern Ireland. On the other hand, if land-based OFWs are working in countries not listed above, the employee must shoulder the full contribution. RA 11199 (Social Security Act of 2018) guarantees that all OFWs will be covered as mandated by the law.